Sometimes a great listing hits the market and just doesn’t sell. The reasons may be easy to pinpoint, but other times it takes some work to determine what the problem is. Here are some of the biggest reasons your listing may be stagnating on the market. First impressions are everything; if a potential buyer walks into a listing that has clutter everywhere, they can’t truly visualize and see the home for what it truly is. Buyers can’t fall in love with a house that has clutter everywhere. Make sure your listing isn’t buried under furniture, knick-knacks, papers and laundry. Also make sure everything from the floor, ceiling, and walls is spick and span. If clutter is not the issue but your listing is still not selling, you may want to consider staging. Staging has been found to not only decrease the amount of time a listing spends on the market, but also increase the selling price. Find staging tips here. The initial listing price of a home is instrumental in how quickly it sells. Many sellers assume setting the price high and coming down later or being willing to accept a reasonable counter-offer if they don’t get much traction is a safe way to ensure they get the highest price for their home. In reality, starting with a high listing price just ensures that the buyers who are most compatible with the listing either don’t see it or move on because it’s outside what they’re comfortable paying. The buyers who are looking at homes for the price you set will see that there are other houses at the same price with more expensive upgrades. If the price is right and your listing is squeaky clean and clutter-free, you may want to check your listing details. For example, an extra zero can turn your $450,000 listing into a $4,500,000 listing, where it’s probably not going to get much traction. Double-check to make sure your information is accurate, make sure the description is interesting and informative, and your photos are professional and numerous. View a list of powerful words you can use in your listing description. If everything else seems in order and your listing still isn’t selling, the problem may be the house itself. According to the 2016 NAR Profile of Home Buyers and Sellers, only 19 percent of buyers were willing to compromise on the condition of the home. Major repairs, such as a new roof or updated water heater, may be necessary to attract a buyer. 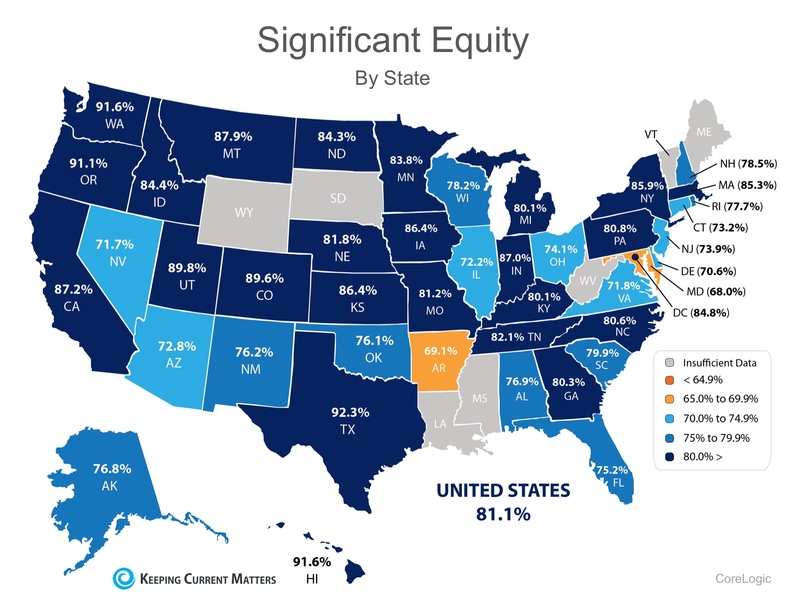 If you are one of many homeowners who is debating selling your home and are wondering how much equity you have accumulated, contact a local real estate professional who can help you determine if now is the time to list. Welcome to 16201 Ginger Avenue in Mead. This home features 3 bedrooms and 3 baths in Mead’s popular neighborhood of Western Meadows. You will agree this home is spotless and shows as such with it’s clean and tidy set up. On the main level you will find wood flooring, vaulted ceiling and an oversized master bedroom suite with large walk-in closet. The laundry room, complete with folding table, is also located on this level. The lower level features a generous family room that walks out to a large patio. Enjoy the beautiful Colorado mountain views that we love so much, from the patio. Additional features include a spacious 3-car garage and an unfinished basement ready for you to put your own touches on. This home has fantastic curb appeal, beautifully manicured landscaping and a private fire-pit area – perfect for year around use!